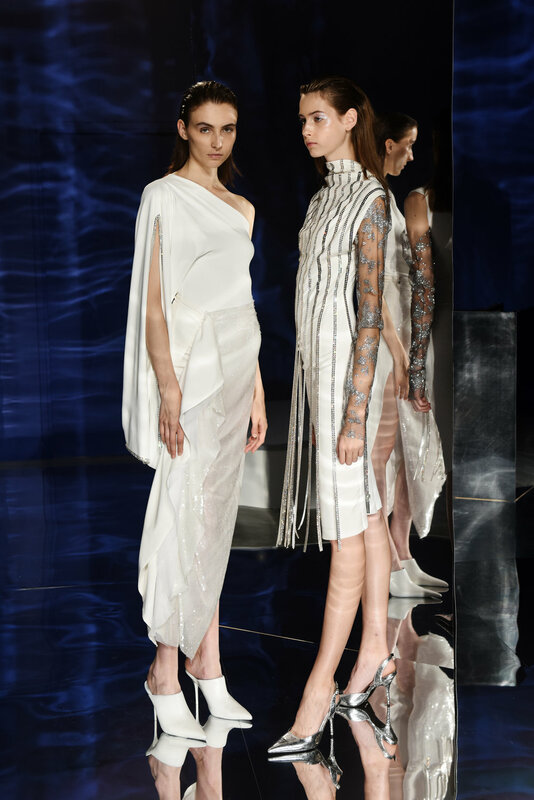 The Paula Knorr collection dazzled at the London Fashion Week presentation at180 Strand. 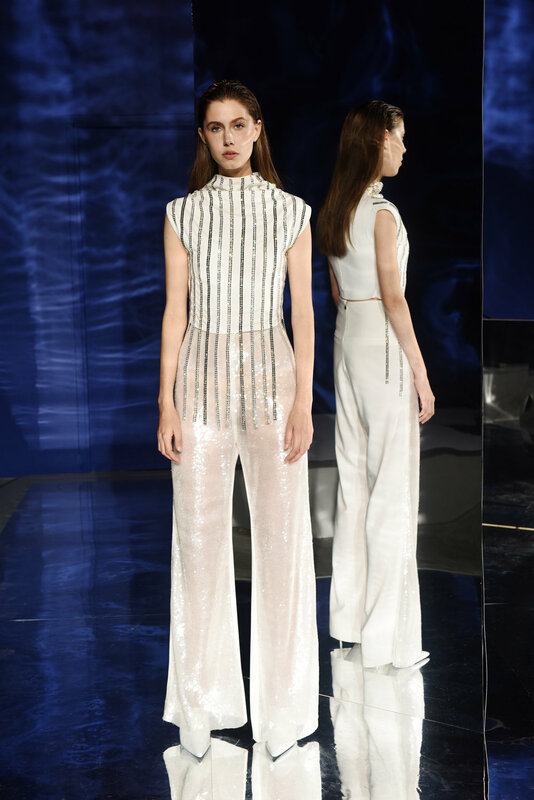 The German born, London based designer created a 70s disco-esque vibe to showcase her boundary pushing evening wear. With the combination of volume and soft silhouettes the pieces highlighted Knorr’s signature cutting techniques. Soft jersey gowns and light cotton tunics are fused with bold, Swarovski crystal embroidered mini-dresses and voluminous trousers. Illusion tulle is printed with glittery clouds to create translucent textures.